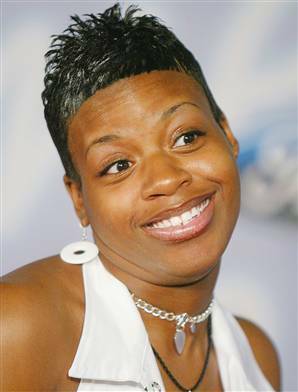 American Idol winner and North Carolina native Fantasia Barrino recently chose to avoid a nasty foreclosure by signing over the deed to her mansion. The singer’s financial problems began several years ago, so Fantasia finally decided to transfer the deed to a bank during February of this year. With her success in the music industry, this is yet another example showing that foreclosure can happen to anyone. Fantasia’s money woes began back in 2008 when she was accused of defaulting on a $58,000 loan taken out with Broward Energy Management. Apparently, the loan was originated by Fantasia to help pay back taxes she owed to the IRS. According to official documents, Broward Energy Management said that Fantasia stopped making payments on the loan, never paying back what she owed. A complaint was entered on behalf of the creditor, but Fantasia never showed up to court to give her side of the story. Her absence in court caused a judge to rule in Broward’s favor. During 2007, Fantasia had also taken out a $1 million mortgage with Bank of America in order to purchase a palatial home located in Charlotte. Official documents show that the house was a massive 6,500 square foot, two-story stucco style abode nestled right on a golf course. Fantasia apparently spent a ton of money decorating her home, joining a large community of celebs who have lavish home aquariums. She commissioned the construction of several massive custom-created fish tanks and placed exotic art throughout the home. Fantasia purchased the home for $1.3 million after a short negotiation process. Perhaps she should have saved a bit of her money and opted for lower-cost decorating options using upcycling or vintage items? Just a thought. After the judgment was entered against Fantasia, her new home was eventually put up for auction. In 2009, her first attempt to avoid foreclosure aimed at selling the home. She listed the mansion with a North Carolina realtor for $800,000 in an attempt to sell quickly. However, in a terrible real estate market, the home received no offers. In a move that had many people speculating American Idol creator Simon Cowell bailed her out, Fantasia was somehow able to make an arrangement with the company to keep her home. Fast-forward to 2013 and Fantasia is again facing foreclosure on the same massive estate. While it is not clear exactly what prompted this latest brush with foreclosure, it is clear that Fantasia has given up the fight to keep her North Carolina house. In February, she made the bold move of transferring the deed back to the bank. This means Fantasia ended up walking away with nothing. She lost the home and every penny she paid toward it in the process. According to the most recent data, the state of North Carolina ranks 27th in the nation when it comes to home foreclosures. If, like Fantasia, you find yourself on the verge of losing your home to a foreclosure, filing bankruptcy could be the solution that allows you to keep your house. Filing for bankruptcy protection puts a stop to the foreclosure, even if the lender has already initiated the process. Under bankruptcy laws, the mortgage lender must stop a pending foreclosure immediately after you file for bankruptcy. In the state of North Carolina, the very latest that you can stop a foreclosure using bankruptcy protection is the 10th day after the foreclosure sale. The key to keeping your home is obviously to file for bankruptcy before the final foreclosure deadline. Naturally, the deadlines vary from state to state, so if you are not a NC resident, then you will need to learn about your state’s rules. If you are experiencing financial problems and facing a foreclosure on your home, filing bankruptcy could allow you to keep your home. Now is the time to contact a local North Carolina bankruptcy lawyer and discuss your options.